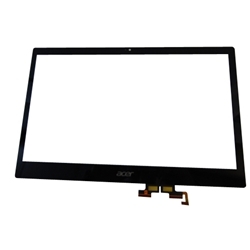 New Acer Aspire V5-472 V5-473 V7-482 Lcd Touch Screen Digitizer Glass 14"
Home → Laptop Digitizers → Acer Aspire V5-472 V5-473 V7-482 Lcd Touch Screen Digitizer Glass 14"
Acer Aspire V5-472 V5-473 V7-482 Lcd Touch Screen Digitizer Glass 14"
Description: New Acer replacement black digitizer touch screen glass. This is not the actual screen. This is the glass on top of the screen that reacts to touch. **This item is not easy to install. This should only be installed by someone who has experience with digitizers or a qualified computer technician. Acer Aspire V5-472, V5-472G, V5-472P, V5-472PG, V5-473, V5-473G, V5-473P, V5-473PG, V7-482, V7-482P, V7-482PG.